Turkish (Turkiye TUR) Keyboard / Turkce Klavyesi. Latitude 3330. Vostro 2421 1440 1540 1550 2520 3350 3450 3460 3550 3555 3560 V131. Dell Part No: 0K4CKP/K4CKP. This will automatically include the product details and any order information which will enable us to help with your query faster. Dell Part No: 0916CX / 916CX. Vostro 2421 1440 1540 1550 2520 3350 3450 3460 3550 3555 3560 V131. Inspiron 13Z (N311z) 14R (N411z) 14R (5421) 14z (N411z) 14 (N4050) 15 (N5040) 15R (15R-N5050) 15R-N5040 15R (7520), (5520). Inspiron 13Z (N311z) 14R (N411z) 14R (5421) 14z (N411z) 14 (N4050) 15 (N5040) 15R (15R-N5050) 15R-N5040 15R (7520), (5520). New US International (US) English QWERTY Layout keyboard. Vostro 2421 1440 1540 1550 2520 3350 3450 3460 3550 3555 3560 V131. Dell Part No: 08YDR3 / 8YDR3. New French (Francais France FRA) keyboard / Clavier. Latitude 3330. This will automatically include the product details and any order information which will enable us to help with your query faster. German (Deutsch Deutschland GER) Keyboard / Tastatur. Vostro 2421 1440 1540 1550 2520 3350 3450 3460 3550 3555 3560 V131. Dell Part No: 0W40RK. Light Wear. Our definition of a 'Used - Light Wear' Product. Latitude 3330. Genuine Dell Part. Dell Part No: 0W56CV / W56CV. Light Wear. Our definition of a 'Used - Light Wear' Product This will automatically include the product details and any order information which will enable us to help with your query faster. Dell Part No: 08YDR3 / 8YDR3. French (Francais France FRA) keyboard / Clavier. Latitude 3330. Light Wear. Our definition of a 'Used - Light Wear' Product This will automatically include the product details and any order information which will enable us to help with your query faster. Dell Part No: 0KM6NP/ KM6NP. 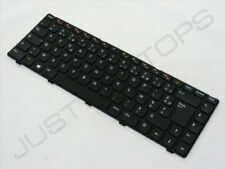 Belgian (Belgie Belgique Belgien BEL) Keyboard / Clavier / Tastatur. Genuine Dell Part. Our definition of a 'Used - Light Wear' Product Light Wear. This will automatically include the product details and any order information which will enable us to help with your query faster. Dell Part No: 0T19G8 / T19G8. Latitude 3330. This will automatically include the product details and any order information which will enable us to help with your query faster. Compatible With Display Cables. Swiss (Schweiz Suisse Svizzera Svizra CHE) Keyboard / Clavier / Tastatur. Latitude 3330. Vostro 2421 1440 1540 1550 2520 3350 3450 3460 3550 3555 3560 V131. Genuine Dell Part. Dell Part No: 0HK1Y6 / HK1Y6. Dell Part No: 0N37XR / N37XR. New Hebrew Keyboard / Israelian Israeli Layout Keyboard. Latitude 3330. Light Wear. Our definition of a 'Used - Light Wear' Product This will automatically include the product details and any order information which will enable us to help with your query faster. Dell Part No: 0DMJ59 / DMJ59. Latitude 3330. Light Wear. Our definition of a 'Used - Light Wear' Product This will automatically include the product details and any order information which will enable us to help with your query faster. Dell Part No: 09HRP9 / 9HRP9. Latitude 3330. New Arabic / US International Keyboard. This will automatically include the product details and any order information which will enable us to help with your query faster. German (Deutsch Deutschland GER) Keyboard / Tastatur. Latitude 3330. Genuine Dell Part. Dell Part No: 032J3M/32J3M. Light Wear. Our definition of a 'Used - Light Wear' Product This will automatically include the product details and any order information which will enable us to help with your query faster. Dell Part No: 0G46TH / G46TH. Latitude 3330. Vostro 2421 1440 1540 1550 2520 3350 3450 3460 3550 3555 3560 V131. US International (US) English QWERTY Layout keyboard. Light Wear. Our definition of a 'Used - Light Wear' Product. Dell Part No: 0PP5GW / PP5GW. New German (Deutsch Deutschland GER) Keyboard / Tastatur. Latitude 3330. This will automatically include the product details and any order information which will enable us to help with your query faster. Slovakian (Slovensko SVK) Keyboard / Slovenska Klavesnica. Latitude 3330. Vostro 2421 1440 1540 1550 2520 3350 3450 3460 3550 3555 3560 V131. Dell Part No: 0K6PN0 / K6PN0. This will automatically include the product details and any order information which will enable us to help with your query faster. Dell Part No: 0RWJK6 / RWJK6. 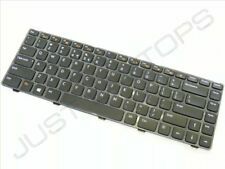 Belgian (Belgie Belgique Belgien BEL) Keyboard / Clavier / Tastatur. Latitude 3330. Light Wear. Our definition of a 'Used - Light Wear' Product This will automatically include the product details and any order information which will enable us to help with your query faster. Vostro 2421 1440 1540 1550 2520 3350 3450 3460 3550 3555 3560 V131. Inspiron 13Z (N311z) 14R (N411z) 14R (5421) 14z (N411z) 14 (N4050) 15 (N5040) 15R (15R-N5050) 15R-N5040 15R (7520), (5520). Dell Part No: 0916CX/916CX. Dell Part No: 0J21KD / J21KD. Latitude 3330. Vostro 2421 1440 1540 1550 2520 3350 3450 3460 3550 3555 3560 V131. (Bulk Job Lots). Light Wear. Our definition of a 'Used - Light Wear' Product This will automatically include the product details and any order information which will enable us to help with your query faster. Dell Part No: 0RWJK6 / RWJK6. 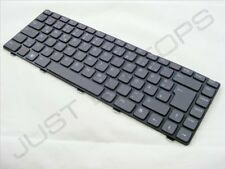 New Belgian (Belgie Belgique Belgien BEL) Keyboard / Clavier / Tastatur. Latitude 3330. This will automatically include the product details and any order information which will enable us to help with your query faster. Dell Part No: 0G8F08 / 0G8F08. Slovakian (Slovensko SVK) Keyboard / Slovenska Klavesnica. Latitude 3330. Light Wear. Our definition of a 'Used - Light Wear' Product This will automatically include the product details and any order information which will enable us to help with your query faster. Swiss (Schweiz Suisse Svizzera Svizra CHE) Keyboard / Clavier / Tastatur. Latitude 3330. Vostro 2421 1440 1540 1550 2520 3350 3450 3460 3550 3555 3560 V131. Genuine Dell Part. Dell Part No: 0HK1Y6/HK1Y6. Inspiron 13Z (N311z) 14R (N411z) 14R (5421) 14z (N411z) 14 (N4050) 15 (N5040) 15R (15R-N5050) 15R-N5040 15R (7520), (5520). US International (US) English QWERTY Layout keyboard. Dell Part No: 065JY3 / 65JY3. French (Francais France FRA) keyboard / Clavier. Vostro 2421 1440 1540 1550 2520 3350 3450 3460 3550 3555 3560 V131. Genuine Dell Part. Dell Part No: 003GTN / 03GTN. Light Wear. Our definition of a 'Used - Light Wear' Product. New French (Francais France FRA) keyboard / Clavier. Vostro 2421 1440 1540 1550 2520 3350 3450 3460 3550 3555 3560 V131. Genuine Dell Part. Dell Part No: 003GTN / 03GTN. This will automatically include the product details and any order information which will enable us to help with your query faster. Dell Part No: 0PG4M3 / PG4M3. Vostro 2421 1440 1540 1550 2520 3350 3450 3460 3550 3555 3560 V131. Inspiron 13Z (N311z) 14R (N411z) 14R (5421) 14z (N411z) 14 (N4050) 15 (N5040) 15R (15R-N5050) 15R-N5040 15R (7520), (5520). Inspiron 13Z (N311z) 14R (N411z) 14R (5421) 14z (N411z) 14 (N4050) 15 (N5040) 15R (15R-N5050) 15R-N5040 15R (7520), (5520). New US International (UN) English QWERTY Layout keyboard. Dell Part No: 0YK72P / YK72P. Dell Part No: 0VWCHD / VWCHD. Hebrew Keyboard / Israelian Israeli Layout Keyboard. Vostro 2421 1440 1540 1550 2520 3350 3450 3460 3550 3555 3560 V131. Dell Model No: V119525AS Rev.3A. Light Wear. Our definition of a 'Used - Light Wear' Product. Dell Part No: 029K02 / 29K02. Inspiron 13Z (N311z) 14R (N411z) 14R (5421) 14z (N411z) 14 (N4050) 15 (N5040) 15R (15R-N5050) 15R-N5040 15R (7520), (5520). Swedish / Finnish (Sverige Svensk Svenska Suomi SWE/FIN) Keyboard / Tangentbord / Nappaimisto. Vostro 2421 1440 1540 1550 2520 3350 3450 3460 3550 3555 3560 V131. Turkish (Turkiye TUR) Keyboard / Turkce Klavyesi. Dell Part No: 0169VT / 169VT. Light Wear. Our definition of a 'Used - Light Wear' Product. Dell Part No: 0PG4M3 / PG4M3. Inspiron 13Z (N311z) 14R (N411z) 14R (5421) 14z (N411z) 14 (N4050) 15 (N5040) 15R (15R-N5050) 15R-N5040 15R (7520), (5520). Arabic / US International Keyboard. Genuine Dell Part. Genuine Dell Part. Dell Part No: 0H0NCK / H0NCK. Inspiron 13Z (N311z) 14R (N411z) 14R (5421) 14z (N411z) 14 (N4050) 15 (N5040) 15R (15R-N5050) 15R-N5040 15R (7520), (5520). Swiss (Schweiz Suisse Svizzera Svizra CHE) Keyboard / Clavier / Tastatur. Latitude 3330. Genuine Dell Part. Dell Part No: 0W56CV / W56CV. This will automatically include the product details and any order information which will enable us to help with your query faster. Vostro 2421 1440 1540 1550 2520 3350 3450 3460 3550 3555 3560 V131. Vostro 2421 1440 1540 1550 2520 3350 3450 3460 3550 3555 3560 V131. Latitude 3330. Dell Part No: 0V54RM / V54RM. Inspiron 13Z (N311z) 14R (N411z) 14R (5421) 14z (N411z) 14 (N4050) 15 (N5040) 15R (15R-N5050) 15R-N5040 15R (7520), (5520). Dell Part No: 0PYYC4 / PYYC4. Latitude 3330. Light Wear. Our definition of a 'Used - Light Wear' Product This will automatically include the product details and any order information which will enable us to help with your query faster. Dell Part No: 0PNWJT / PNWJT. Danish (Danmark Dansk DNK) Keyboard / Tastatur. Latitude 3330. Genuine Dell Part. Light Wear. Our definition of a 'Used - Light Wear' Product This will automatically include the product details and any order information which will enable us to help with your query faster. Dell P / N: 032J3M. 1 x keyboard 032J3M. Dell Inspiron N5050 N5040 N4110 M4110 N4050 M4040. 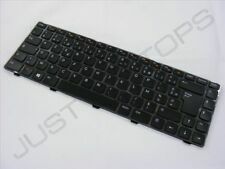 Dell Vostro 2420, 2520 3350 3450 3460 3550 3555 Vostro 131. Keyboard Layout: DE, German. Dell Inspiron 14R, N411Z. N5050 N5040 0KCP3T Engilsh. Keyboard Layout: UK, Engilsh. N5050 N5040 N4110 N4050 M4040 M4110. Vostro 2420, 2520 3350 3450 3460 3550 3555. Vostro 131. Inspiron 14R, N411Z. Keyboard UK For. Color: black, black keyboard. N5050 N5040 032J3M German. Vostro 2420, 2520 3350 3450 3460 3550 3555. Vostro 131. Inspiron 14R, N411Z. Keyboard of For. Color: black, black keyboard. 1 x Keyboard. with the following models of Dell compatible. Vostro 3350 3550 3555 N5050 N5040 029 K 02. N5050 N5040 N4110 N4050 M4040 M4110. Vostro 2420, 2520 3350 3450 3460 3550 3555 3560. Vostro V131, 2421, 1440 1540,1550. SWE/FIN keyboard for. Keyboard layout: SWE/FIN 029 K 02. P/N: V119525BS1 X38K3 0X38K3 NSK-DX0SW OX08K3. 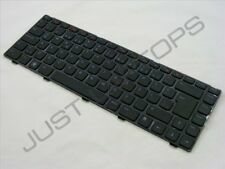 DELL N 4110 M 4110 M 4040 N4050 series US keyboard. Dell VOSTRO 3450 V3450 V3550 Series. Due to the secure reasons. It will not reflective to the total price you paid or the market value of the product. Vostro 3350 3550 3555 N5050 N5040 032J3M. DP/N 032J3M. 1 x keyboard 032J3M. Inspiron 13t, N311Z, N411Z, 14R, 15R (7520). N5050 N5040 N4110 N4050 M4040 M4110. Vostro 2420, 2520 3350 3450 3460 3550 3555 3560.